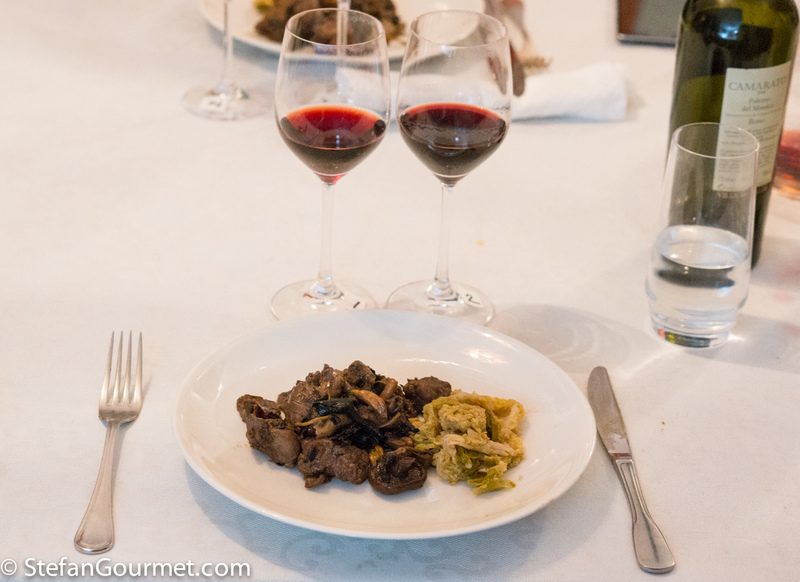 Twice a year I organize themed wine pairing dinners (click here to read more about them). This fall’s theme was Wild Game and Wine. The same menu was repeated on three Saturdays for three different groups of friends, and on each night there were two different wines paired with each dish. And so I ended up tasting six different wines with each dish. I also asked my guests which wine they thought would work best. Below are the results. I would have liked to write even more detailed tasting notes, but there is simply no time for that during such an evening as I am host and sommelier as well as the chef. 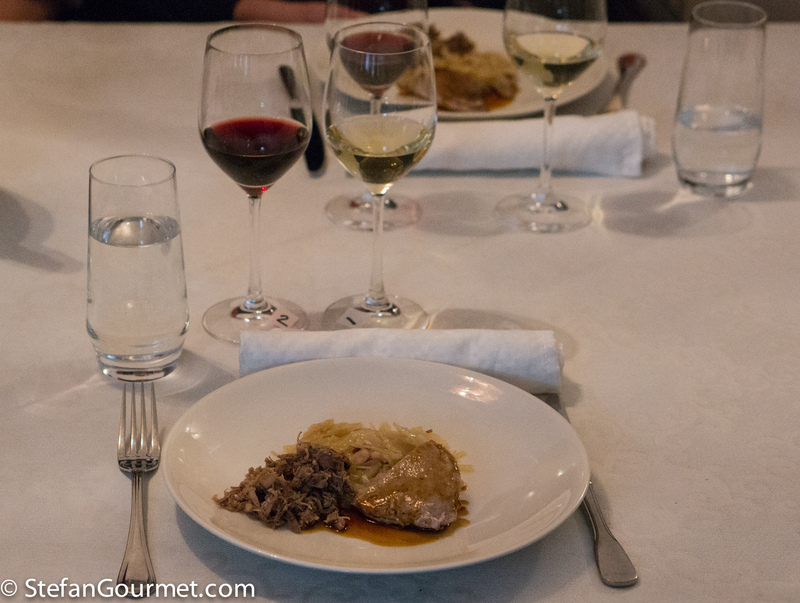 The breast and legs of the pheasant were cooked sous-vide for different times and temperatures, and the pheasant was served with its own jus and sauerkraut. Click here for the recipe. I decided to pair a white and a red each time, also as a demonstration that you don’t always have to pair meat with red wine. All three evenings, the white got more votes than the red. Even though these are elegant pinot noirs, they were overpowering the breast meat and were not a great success with the sauerkraut. The whites worked well with all components on the plate. The Beaune worked very well with the leg meat. I had selected the red Sancerre because I thought the lighter weight and higher acidity would work better with the sauerkraut than the previous two reds. That was true, but the Sancerre worked slightly less well with the leg meat than the other two reds. The riesling was not oaked (riesling doesn’t take well to oak), but because it was a ‘Spätlese trocken’ it was still rich enough. No clear winner; I doubt whether a wine exists that would be a 5-star pairing with all three components on the plate. 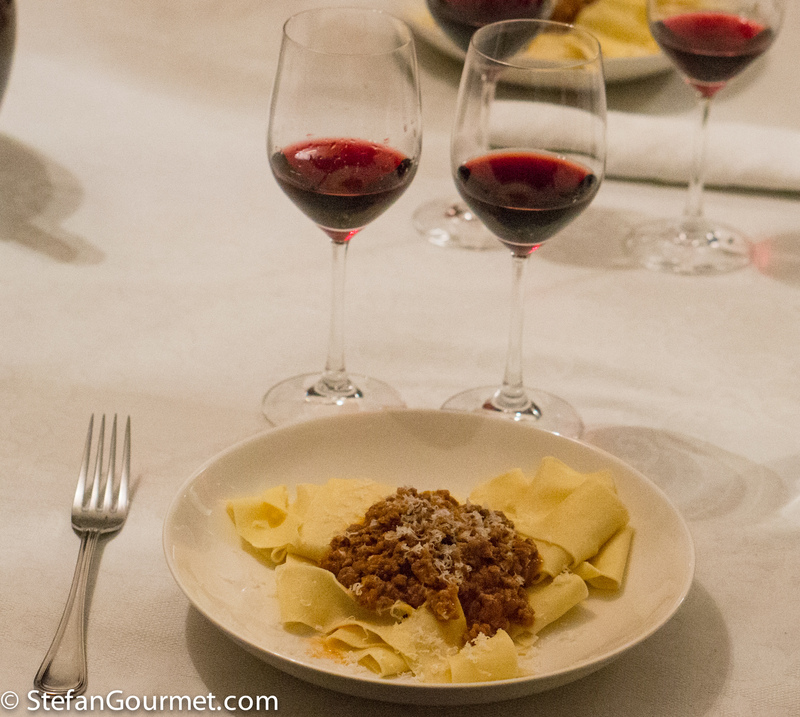 A classic dish from Tuscany/Umbria in Italy: fresh wide pasta ribbons with a wild boar and tomato sauce. Click here for the recipe. 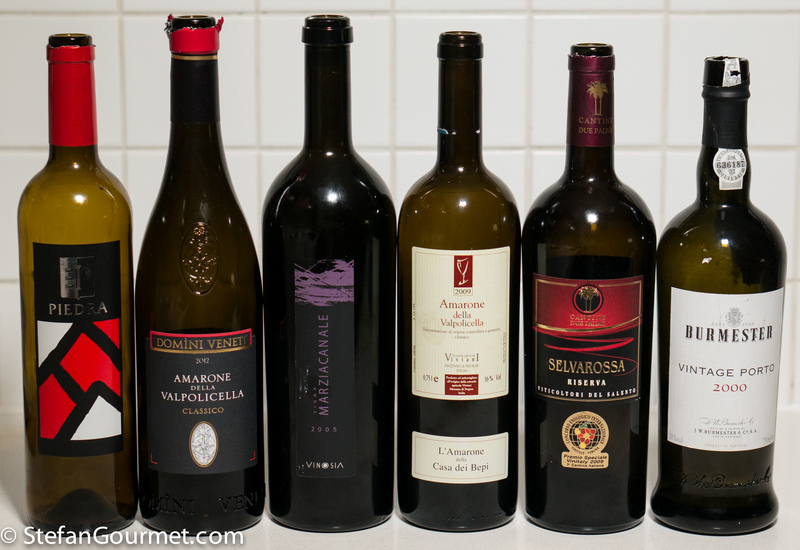 The classic pairing is a sangiovese-based wine, and so that is what I chose for most of the six wines. Again no clear winners here. 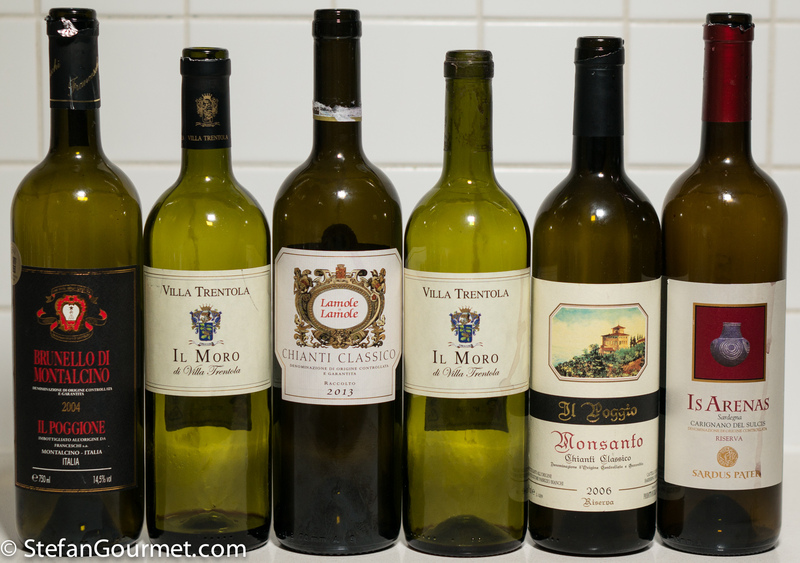 This is the only time I repeated a wine, because I didn’t have another Sangiovese di Romagna and I thought it was interesting to compare a more elegant tuscan sangiovese with a fuller bodied one from Romagna. No clear winners here, the votes were mostly tied. On the last evening I wanted to try something completely different, and tried a carignano from Sardegna. In terms of flavor profile it worked quite well, but it was perhaps slightly too full-bodied in comparison with the dish. 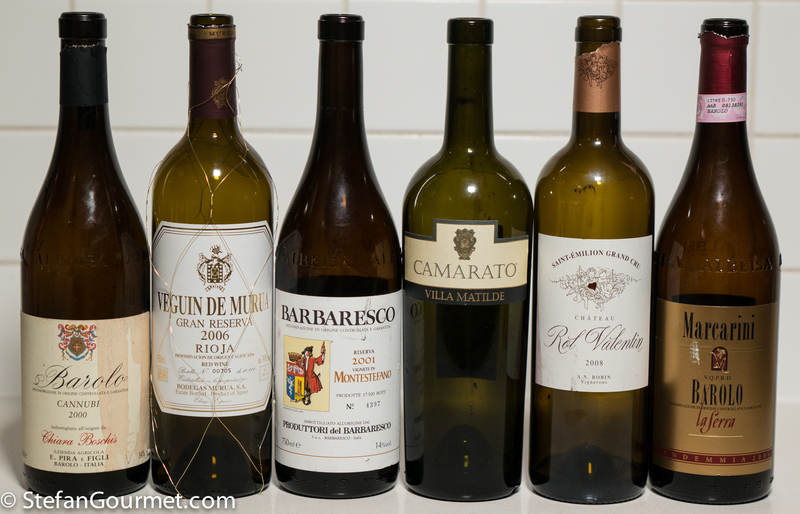 A slow-cooked dish with an earthy flavor profile, so I paired it with earthy mature wines. Click here for the recipe. To freshen things up there was also some sancrau (savoy cabbage with vinegar) on the plate, but that didn’t pose any problems for the wines. 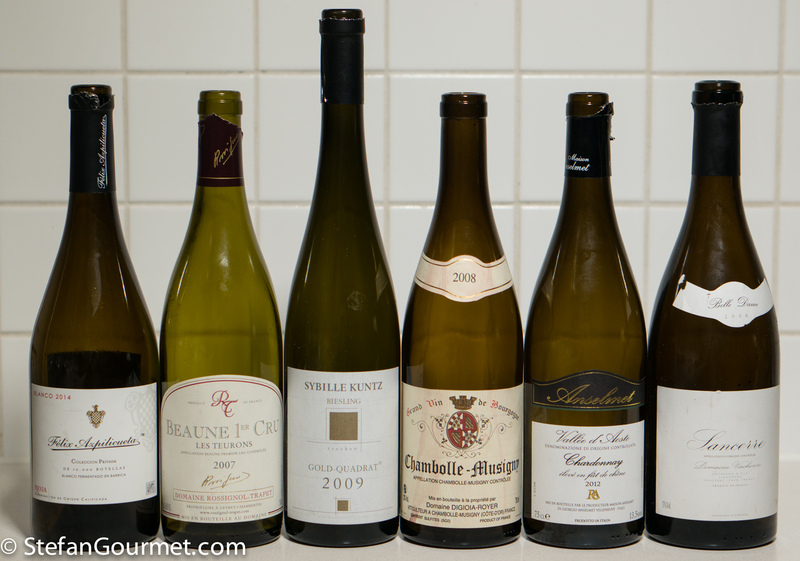 These wines all worked well with the dish, with no clear winners. Hare is the strongest-tasting meat of the menu, and should not be confused with rabbit (which is white meat rather than red). It can easily handle the hefty port sauce and roasted sprouts. Click here for the recipe. Such a strong-tasting dish requires a blockbuster of a wine. My first thought therefore was Amarone, made from dried grapes and high in alcohol (15.5-16% ABV) and flavor. Although it did work, in both cases myself and most of the others preferred the other wine. Then I remembered that for the wine & game menu in 2011 I had also made this dish, and paired it successfully with the Selvarossa. Since I always keep some bottles of that wonderful wine in stock, I decided to try that one again. And because of the port sauce, I was curious to see whether it would work with port. It did, but Selvarossa won hands down. 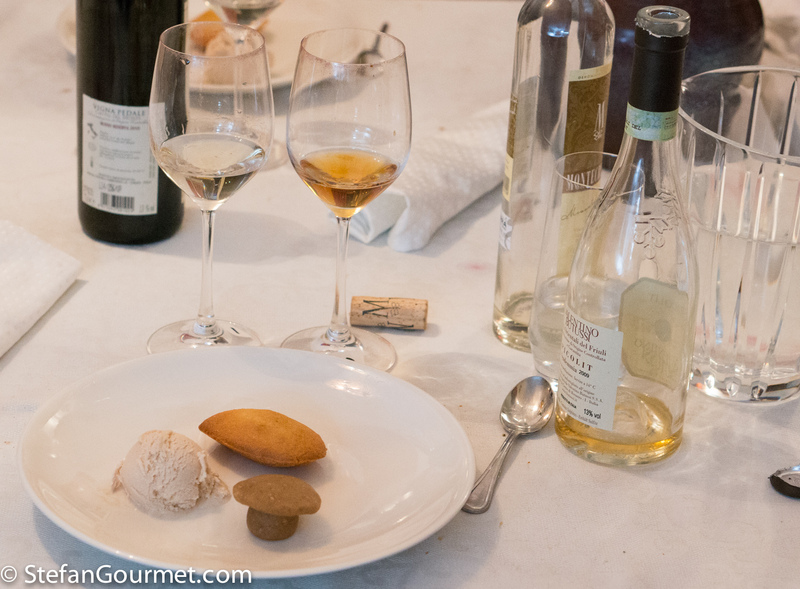 The dessert consisted of three components (spiced pear ice cream, marzipan mushroom, and almond madeleine) that I had selected to have a similar flavor and sweetness profile, as otherwise it would have been impossible to pair a wine. Because of the almond a passito (wine from dried grapes, that often has a bit of a nutty aroma) seemed like a good choice. The only wine that didn’t really work was the Capricho de Goya, that was too strong for this dessert and would be better with chocolate. Both picolits were nice, but slightly too acidic. The Málaga was nice, but slightly too strong. 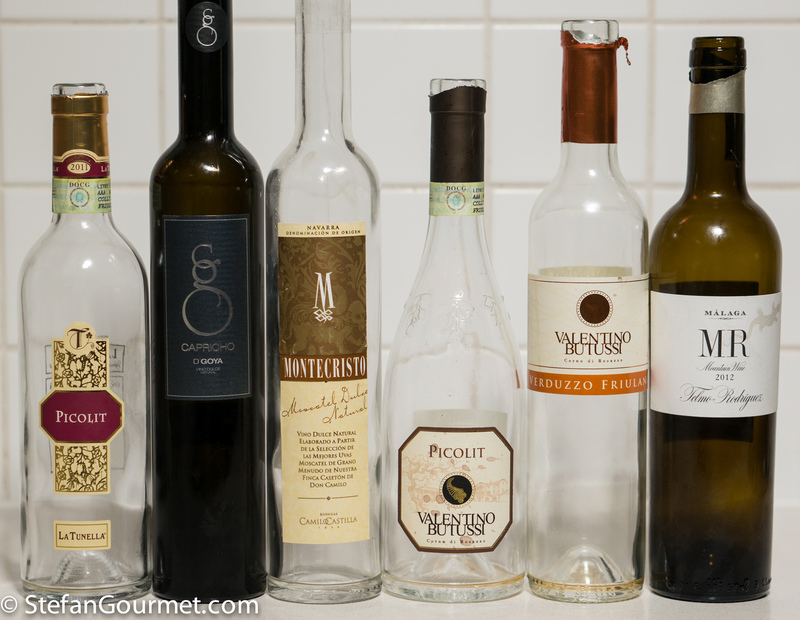 And so the best choices were the verduzzo and the moscatel from Navarra. Wow you certainly have been busy! I’m sure your guests had a wonderful time. Interesting experience. I’m glad to see at least one 5 star pairing. Looks like the Hare pairing was the most successful, which is also interesting. I wouldn’t think of offering Port as a pairing for the meat dish, but again, it seems to be very successful. Cheers! 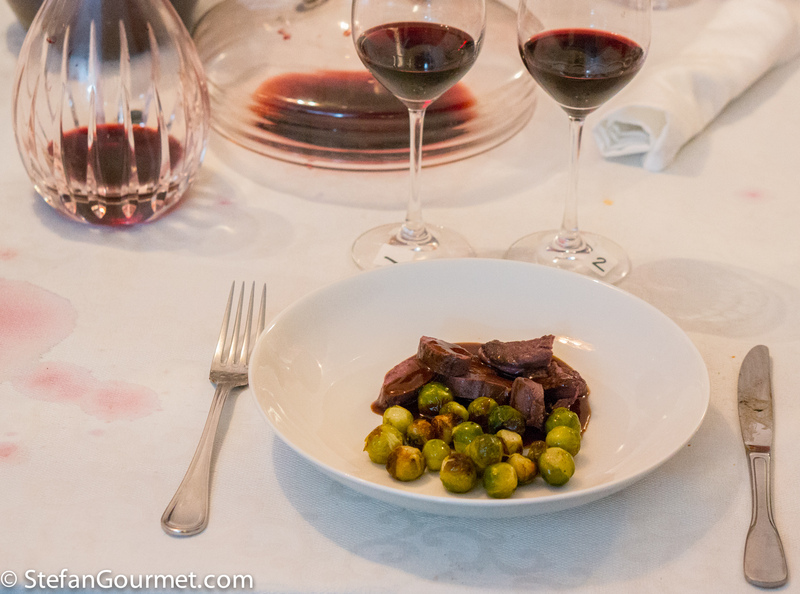 The port worked very well, once you get used to the idea of having a sweet wine with a meat dish. La prossima volta vengo anch’io! Sarebbe un piacere. La prossima volta sara’ in maggio or giugno. Potresti anche dormire da noi. Ero a Milano per trovare un vero risotto, e non ce l’ho travato. A wonderful an informative post, Stefan. I’ve siad it before. Invitations to one of your dinner parties must be highly prized and sought after. This is so very kind of you, Stefan, and nothing would please me more. Unfortunately, there won’t be any travels in 2017. That walnut shell took care of them all. Curses! wat ontzettend leuk om dit te doen! Bedankt voor de gedetailleerde informatie!